In April 2017, Arizona welcomed the NCAA’s Final Four Tournament – a college basketball championship that spanned three days in downtown Phoenix. With over 70,000 fans in attendance, the event was the perfect opportunity for Phoenix to flex its sustainability muscles. 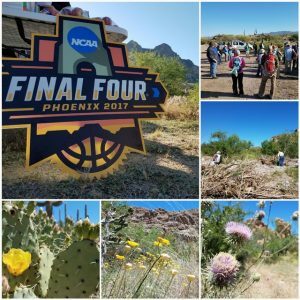 Partners from all over the Valley united to leave the Final Four with a legacy of sustainability that could continue long after its departure from Phoenix. These partners included ASU’s School of Sustainability, the City of Phoenix, the City of Glendale, APS, SRP, Keep Phoenix Beautiful, Green Living Magazine, Bonneville Environmental Foundation, Northern Arizona Forest Fund and numerous community members. This month, the Final Four received the Evergreen Certification from the Council for Responsible Sport at the Pac-12 Sustainability Conference, held in conjunction with the 2017 Green Sports Alliance Summit in Sacramento. The Evergreen Certification signifies the highest level of sustainability certification possible at a sporting event. 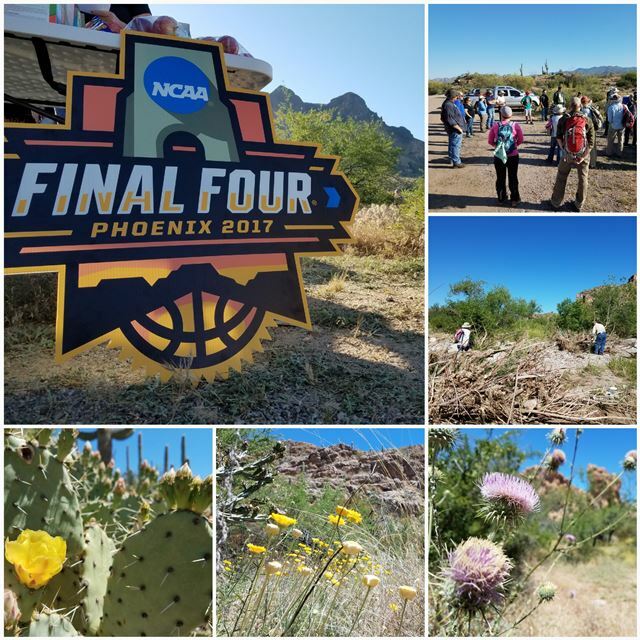 Colin Tetreault, senior sustainability scholar at ASU’s Julie Ann Wrigley Global Institute of Sustainability and instructor in the School of Sustainability, served as the Chair of Sustainability for the Final Four. He also served on two panels at this year's Pac-12 conference to discuss the sustainability committee's work on the tournament. Tetreault explains that he and numerous School of Sustainability students worked with the Phoenix Local Organizing Committee to prioritize sustainability at the Final Four, not only at all the event sites, but in the community and surrounding environment as well. In Fall 2015, the School created a Sports and Sustainability class, explained Tetreault, which would later focus on just how to leave that legacy with the Final Four. Tetrault emphasized the contribution the School of Sustainability had to the success of sustainable practices over the championship weekend. “Our students were instrumental in creating the framework from which the Committee would operate. We also included many of our students in the operations of the game itself,” Tetreault says. These students included alumnus Garrett Wong, the Chief of Staff of the sustainability committee, and MSUS student Meghan Tierney. Both Wong and Tierney oversaw the operational work at the zero waste and water activation stations at both the Convention Center Fan Fest and the Hance Park Music Fest. The group focused on water, a pressing issue in the Arizona desert. By undertaking an ambitious water offset, education, restoration and preservation campaign, the sustainability team enabled fans to help restore a whopping 5.3 million gallons of water to Arizona’s watersheds. The best part? The team’s vision does not stop at the Phoenix Final Four. Tetreault explains that the sustainability tactics were designed to be replicated at future events.